Last year the event raised approximately $8000 for a number of charities including Camp Quality. 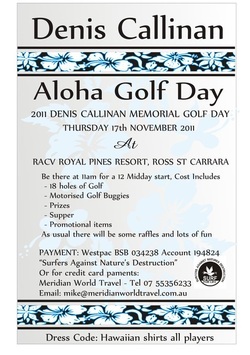 All welcome, tickets are $150 p.p. and bookings are essential. Tickets include 18 holes, motorized golf buggies, supper, prizes, raffles and giveaways galore!